Times are sure a-changing. And nowhere is that more obvious than in Mike Hammer’s New York. The city has not forgotten that fateful September 11th of 2001. The Communists are of course gone. Organized crime is no longer the main threat. No, what people really fear is a repeat of those terror attacks. All it might take is a single spark to set the powder keg off. That spark might just come from an unlikely source, from a Biblical giant who’s been dead for thousands of years. Unfortunately, the would-be assassin fell to his death after Mike Hammer intervened, and so Mike doesn’t know who he represented and what his interest was in the bone. But Mike’s a pretty good guesser. And so he joins in the merry game of ring-around-the-rosy, looking to keep the bone safe, to protect the kids’ lives, and to cash in a good-sized cheque at the case’s conclusion. And if all goes well, maybe this time he’ll even be able to marry his long-time secretary, Velda. I’ve written a lot about Mickey Spillane and Mike Hammer recently, having become a convert, so to speak. 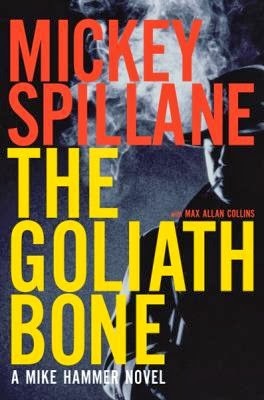 I really learned to appreciate the good things about Spillane and Hammer in 2013, and was interested to read this book, The Goliath Bone. This was intended to be the final Mike Hammer novel (chronologically speaking), and was completed by Spillane’s friend Max Allan Collins (who has since then completed several earlier Spillane manuscripts). And it’s a very good read. Mike Hammer, surprisingly enough, somehow manages to work just as well in the post-9/11 setting. He’s not quite the same tough guy you meet in I, the Jury – he’s a bit softer around the edges and not quite as energetic as he once was – but he’s still the same old Mike Hammer, and his favourite part of the Bible still is that “eye for an eye” part. But among other things, you find out in this novel just why Mike Hammer has not yet married Velda… and it’s a surprising answer. I have no idea if this came from Spillane or if Collins came up with it, but wow, it’s really changed my perception of Hammer. The story is a good one. 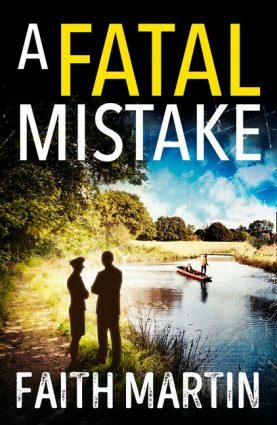 As is usual with Spillane, there is an actual plot here, with clues and detective work leading to the conclusion. Unfortunately, as is usual, I had a very easy time solving the case, especially as I have read previous books in the series. One of the characters instantly reminded me of a culprit in a previous Mike Hammer adventure, and so I correctly guessed the culprit’s identity very quickly. Yet despite that, I found myself enjoying The Goliath Bone very much. It’s a solid adventure, with plenty of exciting scenes and some memorable villains (such as a seven-foot-tall assassin codenamed “Goliath”!). To put it simply, it’s a page-turner: Spillane knows how to tell a good story, and Max Allan Collins does such a good job with its completion that I have no idea where one author left off and the other began. It made for good, exciting reading. Apart from that, I was somewhat surprised at some of the opinions Spillane expressed. Having read One Lonely Night, I knew what kind of treatment those damn Commies got from Mike and I was expecting a similarly paranoid approach in The Goliath Bone, with Al-Qaeda corpses littering the streets of New York instead of the Reds. But I was surprised. Mike Hammer doesn’t condemn one group of people; he’s equally disgusted with the terrorism going on in both sides of the Arab-Israeli conflict. And damn it, Mickey Spillane can write! The descriptions of New York are particularly good – it’s in those passages that I understand why others before me have referred to Spillane as a hardboiled poet. 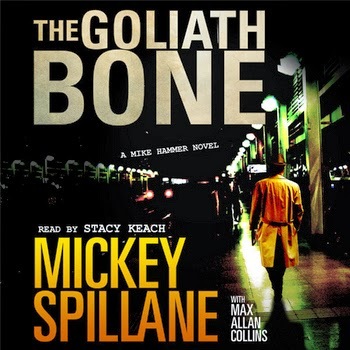 Overall, I found The Goliath Bone a terrific read. It was fast-paced, exciting, well-written, and engaging from the first page. Though the mystery was easily solved, it was an actual mystery with clues and red herrings. As the finale to the Mike Hammer series, it works very well – it neatly ties in with one of the previous novels in particular. Note: For a particularly great reading experience, check out the audiobook, read by Stacy Keach. The guy quite simply is Mike Hammer, and his reading is flat-out brilliant. He's got that tough, menacing edge to his voice which embodies Mike Hammer, and so even though Mike's a bit older and more tired than he was in the 1940s, he's still the same Mike Hammer. I can't think of a better narrator for these books, and I wish more of them were available unabridged! well, I am definitely going to take a crack at ONE LONELY NIGHT - do we know how mich of this later book is by Collins (who after all has a much more liberal outlook than Spillane did)? Sergio, I frankly have no idea. On some of the more recent continuations, Spillane and Collins have the same billing on the front cover (none of this baloney in which the dead author's name is emblazoned in 12-foot-tall letters and you need an electron microscope to find the other person's name). 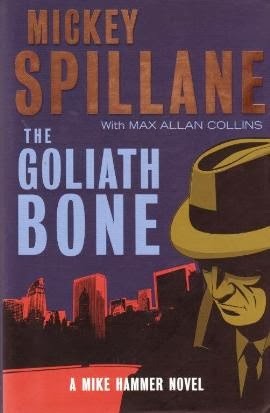 But for THE GOLIATH BONE Spillane's name dominates. The impression I have is that Spillane probably wrote most of it. But the only person who can give any detailed answer is Collins. It's about fifty-fifty. Mickey wrote drafts of all the chapters up to where Mike and Velda get married. He also wrote a draft of the second-to-last chapter. That means only two chapters were completely my work. Because of his health, however, and that he was racing against death to get the book finished, the chapters were much shorter and less-fleshed-out than usual. Also, there was a false start to the book that I drew some material from. End of the day, it is -- like all of the six Hammer novels I've completed -- about fifty fifty. As for my outlook being liberal, that doesn't get into the books. I know how to write a character and stay true to that character. Mr. Collins, thanks very much for stopping by and replying! It's very fascinating to learn more about the collaborative process that went into creating this book, and the result was good enough that I could not tell which author wrote which piece of the book. It's a fine piece of fiction and I'd like to thank you for helping to deliver it to us readers.